And here is a copy from the official Canon site, case you don’t find the original. 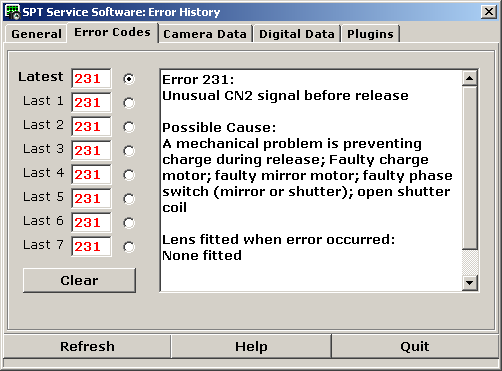 When using your EOS camera you may occasionally get an error code or message appearing on the camera’s LCD screen. Most of these errors can be quickly and easily resolved – the various EOS error codes and messages are described below with information that should assist you in resolving your issue. Description: The communication between the camera and lens is faulty. 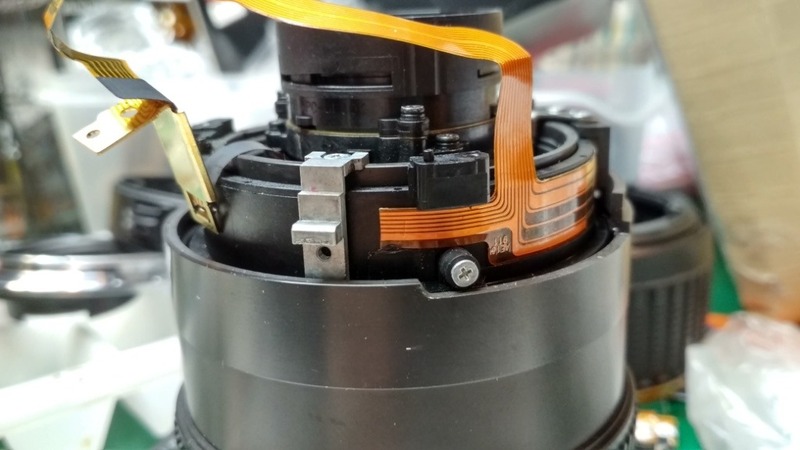 Resolution: Very gently clean the electrical contacts (highlighted in red) on the camera and the lens using a clean and dry cloth. Do not wipe the contacts with a wet cloth. Do not touch the contacts directly with your hands. Touching them with your hands could cause corrosion, which would cause the camera to become inoperable. When cleaning the contacts on the lens side, be careful not to damage the lens surface. Description: The camera cannot access the memory card. 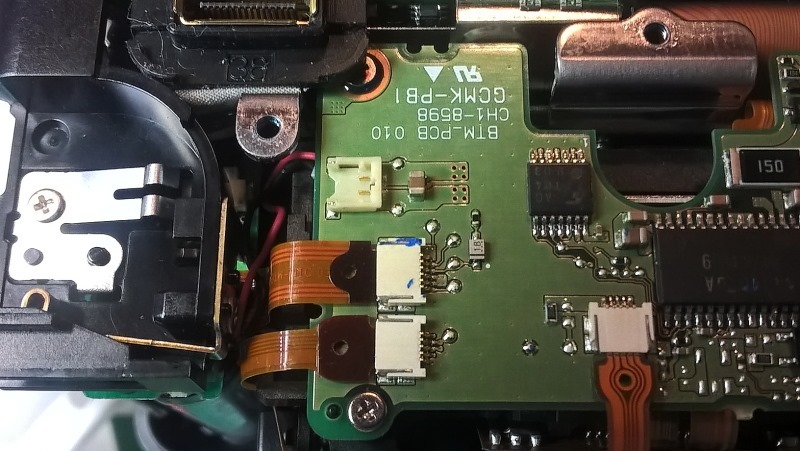 Remove and re-install the memory card. Format the memory card as described in the user manual. The user manual for your EOS camera can be downloaded by clicking here for the Canon Europe EOS camera support page. If formatting the memory card does not resolve the error please replace the memory card. Description: There are too many folders on the memory card. Resolution: Replace the memory card with a formatted Compact Flash memory card. Description: Images cannot be saved because the memory card is full. Erase any unnecessary images on the memory card. Description: The built-in flash could not be raised. Resolution: Turn the power switch off and then on again. Description: The sensor cleaning is not possible. Description: A malfunction with the files on the memory card has been detected. Resolution: Turn the power off, then remove and re-install the battery. Then turn the power on again. Description: A malfunction with the mechanical mechanism has been detected. Description: A malfunction with the shutter has been detected. Description: A malfunction with the power source has been detected. Description: A malfunction related to the electric control has been detected. Description: An error occurred preventing shooting, the lens movement may be obstructed. Resolution: Check that the lens is clear from obstructions. Then turn the power switch off and then back on again. Description: A malfunction with the images has been detected. Description: A malfunction with the electric control or images has been detected. Description: This is a general error that can occur because of several different reasons. Turn the power off and remove then re-install the battery. 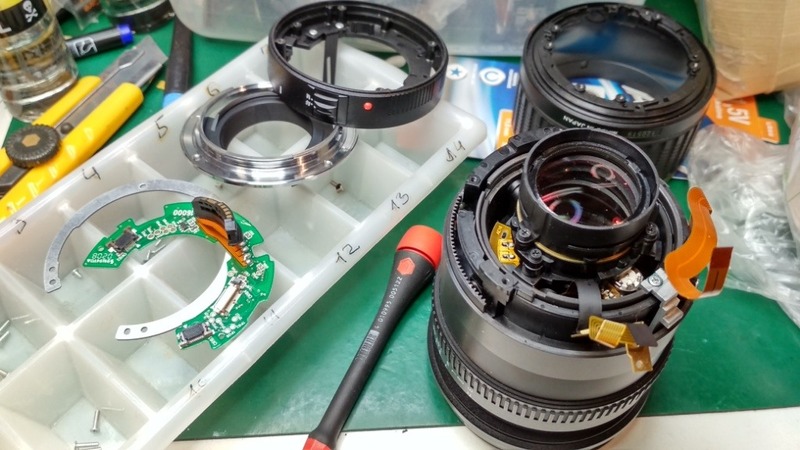 Very gently clean the electrical contacts (highlighted in red) on the camera and lens using a clean and dry cloth. 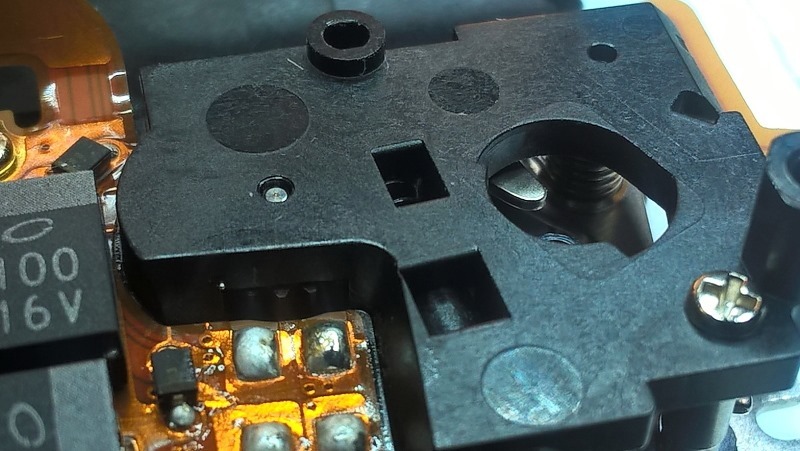 Very gently clean the electrical contacts on the camera and flash using a clean and dry cloth. Description: The imaging element corresponds to the film in a film camera. If dirt or foreign matter gets on this imaging element, black spots may be recorded on the corresponding part of the image. If this happens, clean the imaging element. Resolution: When performing the required cleaning, always connect the EOS camera to a household power outlet using the DC coupler. 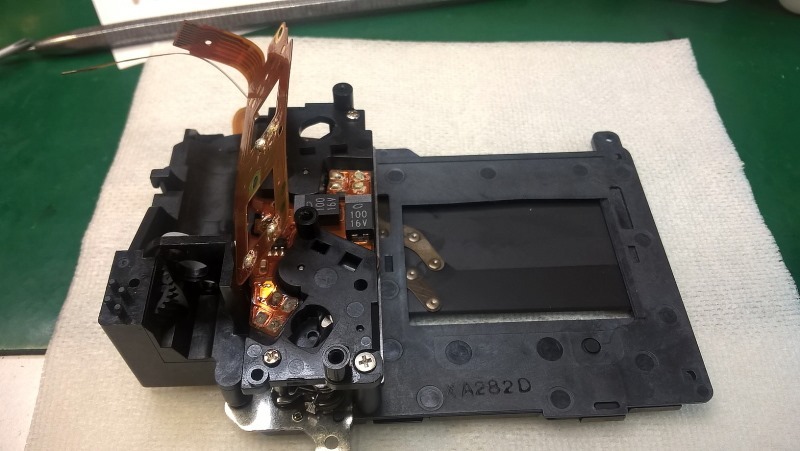 If you try to clean the imaging element while the battery back is installed in the camera, the cleaning warning message ‘AC’ will blink on the camera’s LCD panel and you will not be able to clean the imaging element. Instructions on cleaning the imaging element can be found in the user manual. The user manual for your EOS camera can be downloaded by clicking here for the Canon Europe EOS camera support page. The flash is recycling. If you shoot 20 images with flash at short intervals, the flash might stop operating. This is to protect the flash unit. Continuous Shooting has occurred. This indicates that the camera’s buffer memory is full and shooting cannot continue. If you press the shutter button halfway and the message is displayed in the viewfinder and/or on the LCD monitor, wait until the display turns off. This gives time for either the flash to recycle or the buffer memory to clear, enabling full use of the camera again. If the camera is connected to a PC, Mac or printer, disconnect before attempting to use. NOTE: Please do not switch off your EOS camera while ‘buSY’ is shown. This may cause problems with the EOS camera or Compact Flash card. 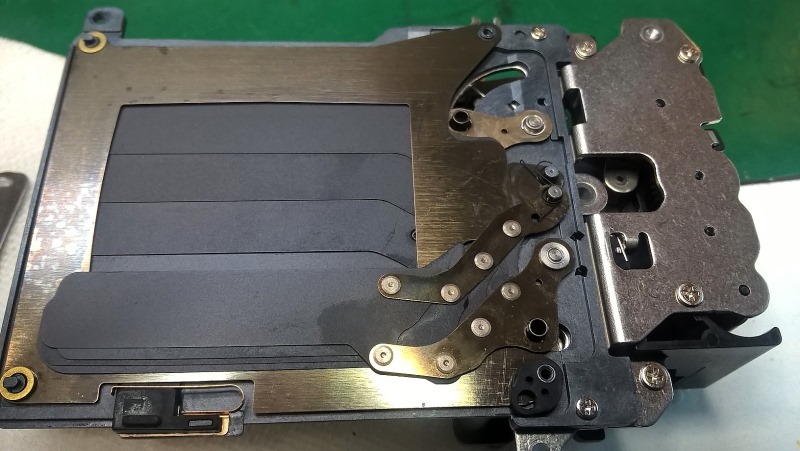 Description: There is insufficient battery power causing the shutter to close during the cleaning of the image sensor and the shutter curtains, resulting in possible damage to the image sensor. Resolution: Either use a fully-charged battery or a household power outlet before starting to clean the image sensor. You are trying to play back images captured with a non-Canon camera. Images in the memory card have been imported to a computer and rotated or edited and then written back to the memory card. The memory card is malfunctioning. Import the images to a computer and check if they can be displayed. If you have multiple memory cards, format another memory card and take some test shots. 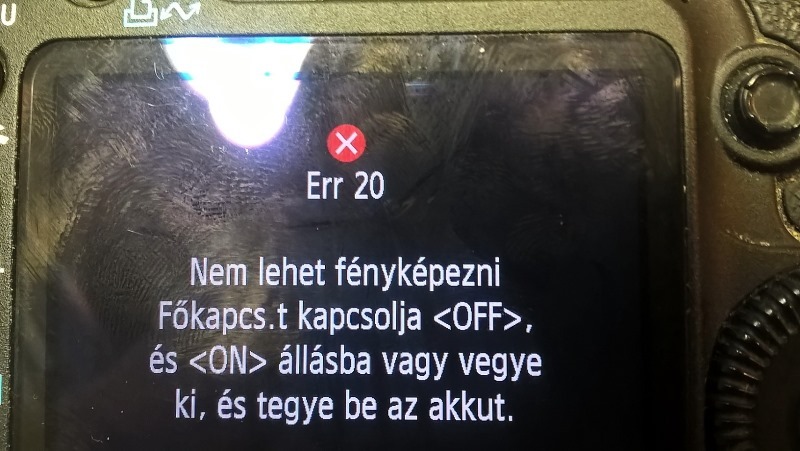 If images can be played back normally, the card that shows the error message may be malfunctioning. In this case, format the memory card, as described in the user manual. The user manual for your EOS camera can be downloaded by clicking here for the Canon Europe EOS camera support page. Description: This is a warning regarding the date/time battery level. The date/time battery maintains the camera’s date and time. When the date/time battery’s power is low, ‘CbC’ will appear on the LCD panel. Resolution: Replace the date/time battery with a new battery as described in the user manual. The user manual for your EOS camera can be downloaded by clicking here for the Canon Europe EOS camera support page. Description: The image sensor is like the film in a film camera. If any dust gets on the image sensor, it may show up as a dark speck on the images. The mirror will lockup and the shutter will open, ‘CLEAn’ or ‘CLn’ will then blink on the LCD panel. Resolution: Turn the power switch off and then on again to automatically activate the sensor cleaning function. Under the Set-up tab of the menu, select ‘Sensor Cleaning’; then press the SET button. Turn the Quick Control Dial Dial to select ‘Clean Now’ and press the SET button. Select ‘OK’ and press the SET button. The screen will indicate cleaning and there will be a shutter sound but no picture will be taken. Description: If the folder number reaches 999 and the file number reaches 9999, this error message appears even if there is space remaining on the card. 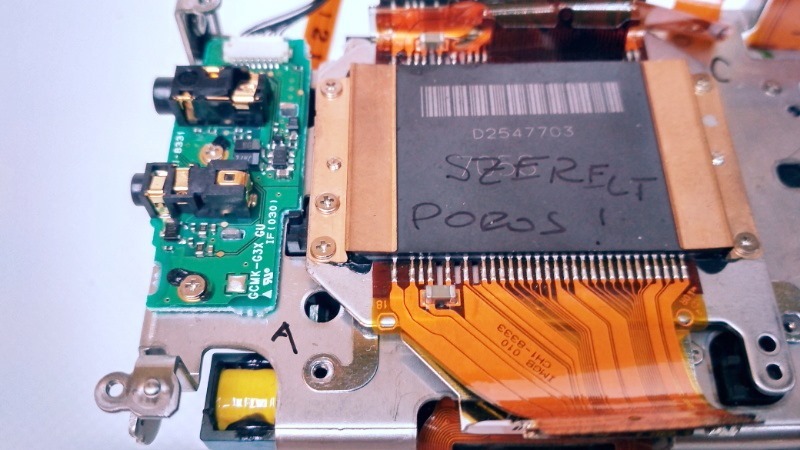 Remove and re-insert the memory card. Try using a different memory card. If possible transfer all images on the card to a computer and then format the card with the camera. The card may then return to normal. Replace with a new Compact Flash memory card. When a newly formatted Compact Flash card is installed, the folder number starts from 100 and the image file number starts from 0001. Description: No images can be shot or recorded. If the Compact Flash memory card is full, erase any unnecessary images. If erasing images has not resolved the error, please replace with a new Compact Flash memory card. 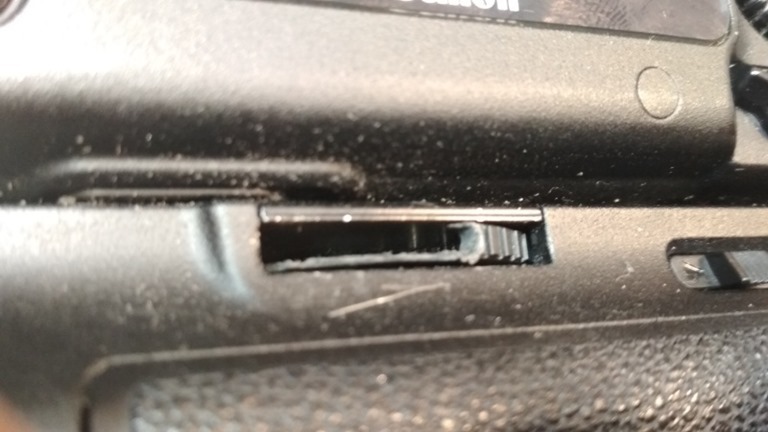 Description: If the [LOCK] switch is set to the right and you try to use one of the locked camera controls, ‘L’ will be displayed in the viewfinder and on the LCD panel. On the shooting settings display [LOCK] will be displayed. Resolution: Set the [LOCK] switch to the left to release it and enable the functions. If there is no Compact Flash memory card installed and you press the shutter button. If there is no Compact Flash memory card installed and you start the camera. If there is no Compact Flash memory card installed and you try to format the card. Resolution: Insert a Compact Flash memory card. 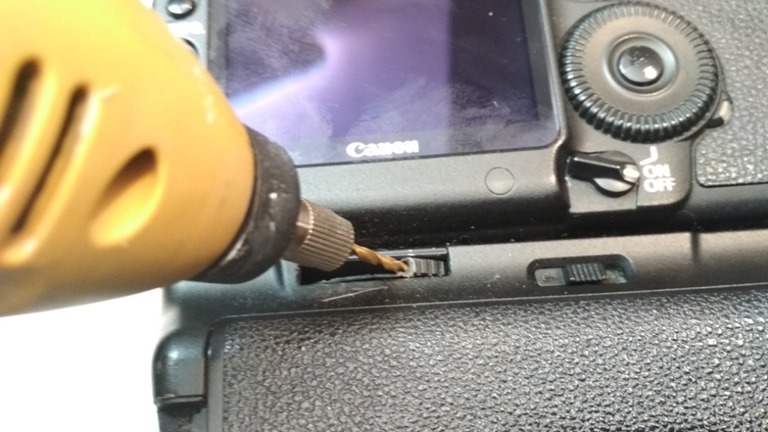 My customer had a Canon camera – and the (original Canon) battery grip was no more possible to be taken off. 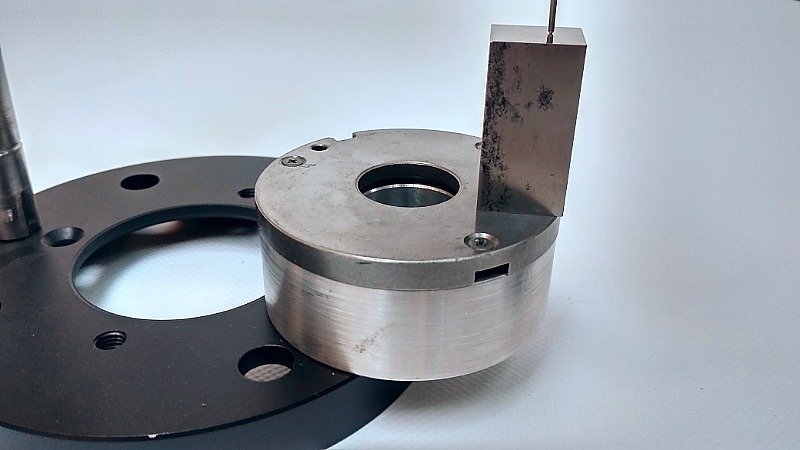 This type of grips have a big actuator wheel for the fixing screw – which unfortunately is made of plastic, so easily can loose the teethes of the pinion. 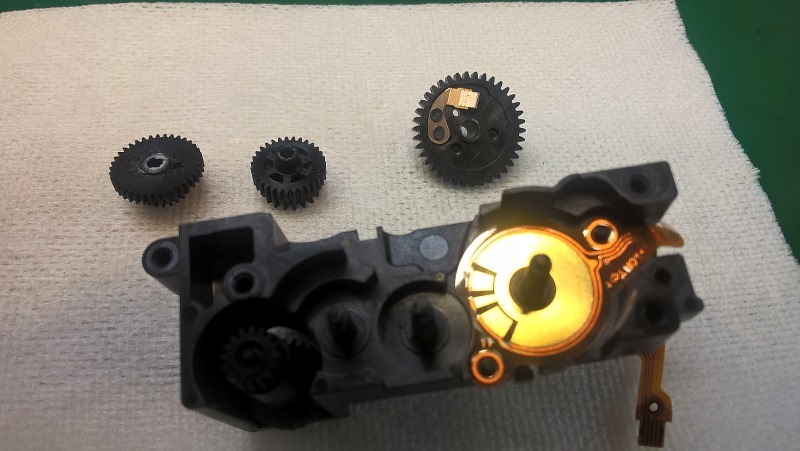 I decided to carve away all the plastic, to have access to the internal pinion of the screw. After a few minutes of machining with a small hand drill I had access to the pinion with a screwdriver… and the grip was in my hand. 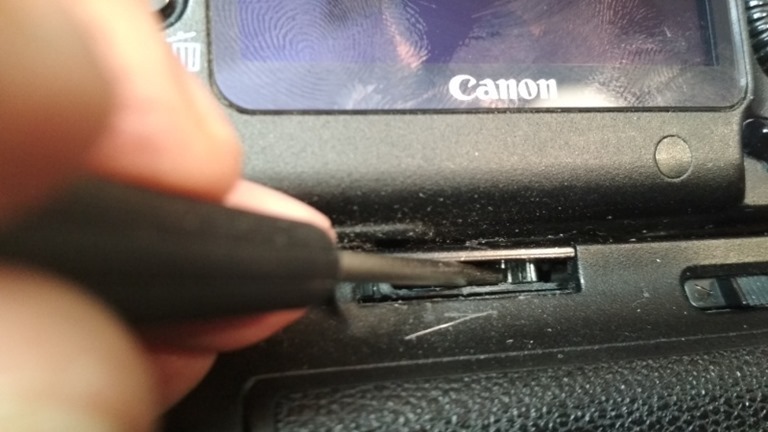 Case You want to replace the shutter in a newer Canon camera, you will have to take out at first the sensor. And the sensor is positioned regarding the flange NOT with the help of some adjustment washers, but with springs and adjustment screw. 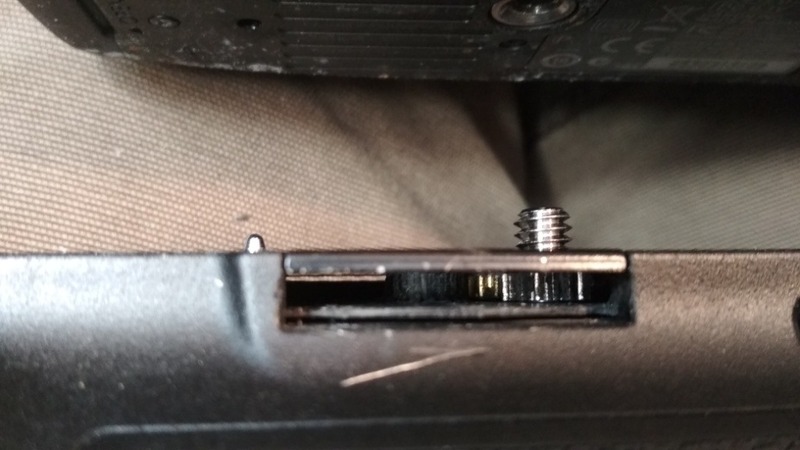 Please trust me: you will NOT be able to put it back only by marking the original position, or counting the rotations of the screw. 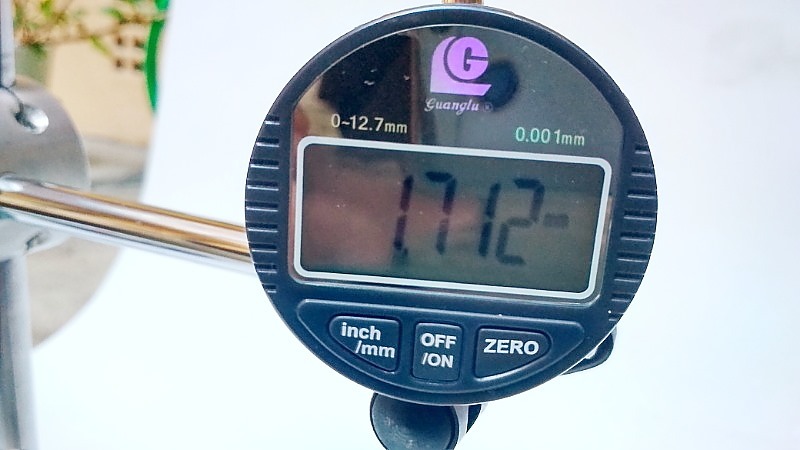 We are talking about the precision of 0,01 mm at least. 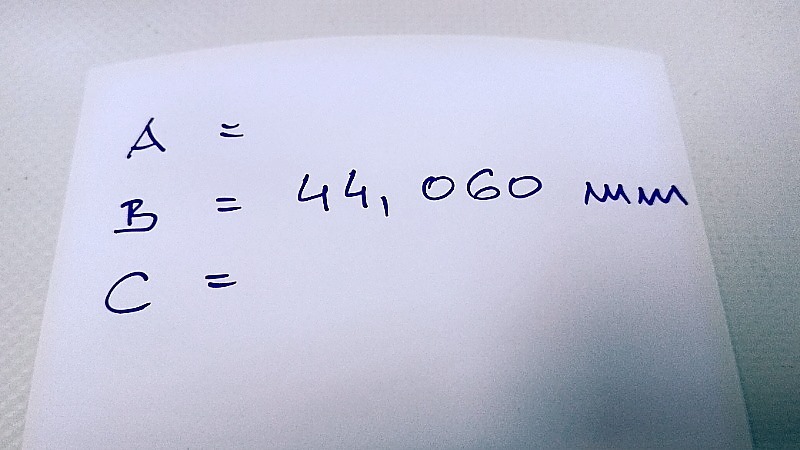 At first, here is the distance, You should measure. Better to say, only one of them, the other 2 they are not accessible at all. But does it have any sense to be measured with a caliper? 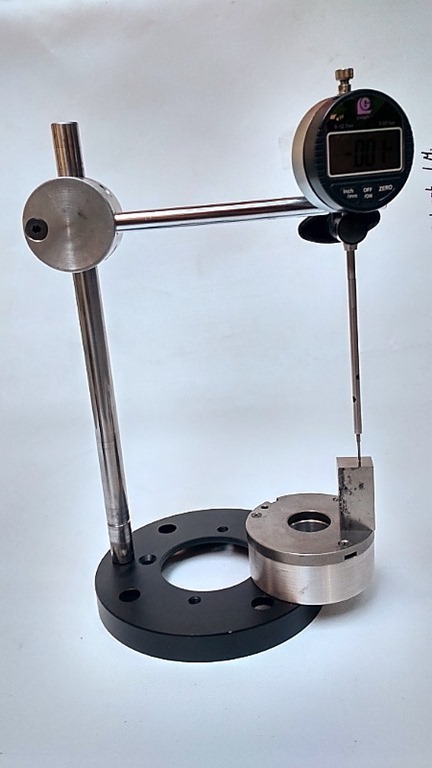 Even the precise calipers are not made for this type of measuring. 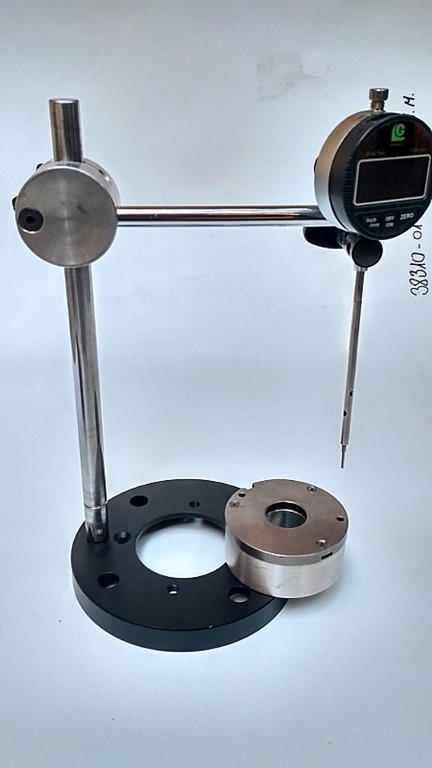 So, You will need a stand for a dial gauge, and a fixture for the camera, to make possible, to hold it with high repeatability under the gauge. 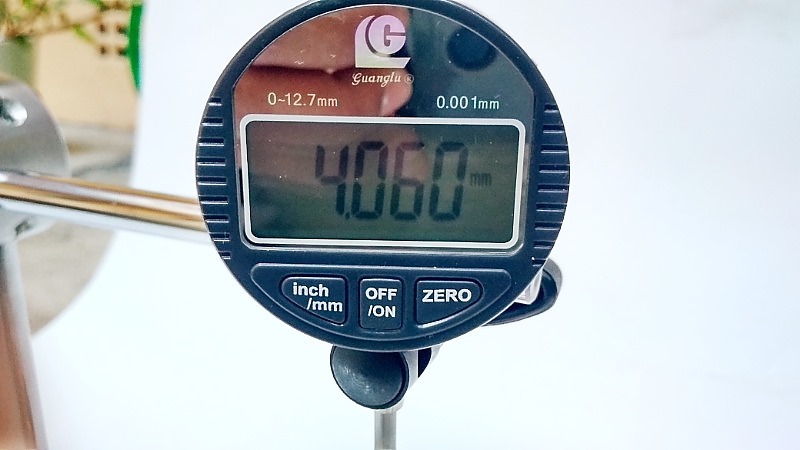 The distance is about 43.0-45.0 mm – o You would need a digital gauge in the 0 – 50 mm range. Not cheap. 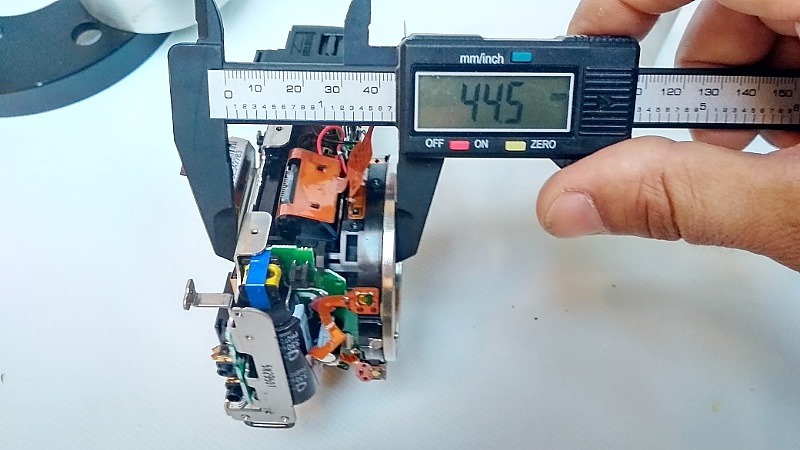 I decided to make a cheaper solution, so I used a 0 – 12,5 mm gauge, 0,001 mm resolution (don’t confuse resolution with precision – in this case, the real precision is probably 0,01 mm. 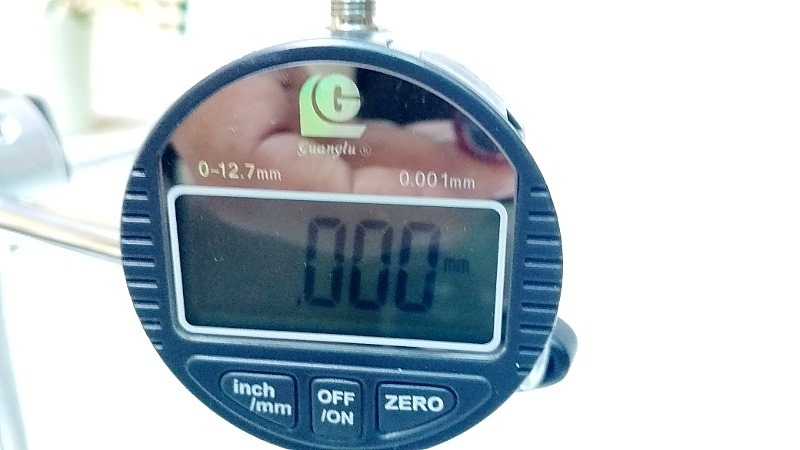 At first, we will set the “0” display using a 40,0 mm steel block – just to make possible a later measurement. I use a steel block made of HSS steel, used as a lathe cutting tool. Important is, that it should be hard and with perfect parallel faces. (I let this made on a grinding machine). 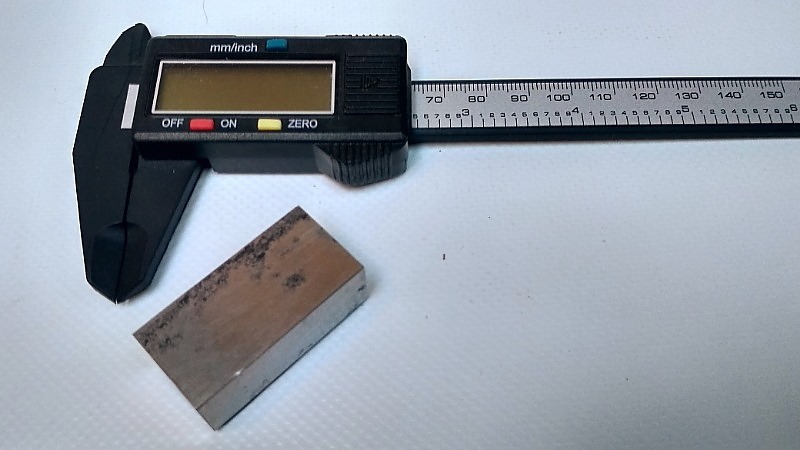 You can use for example a 200x20x20 mm bar, cut with an angle grinder to pieces. 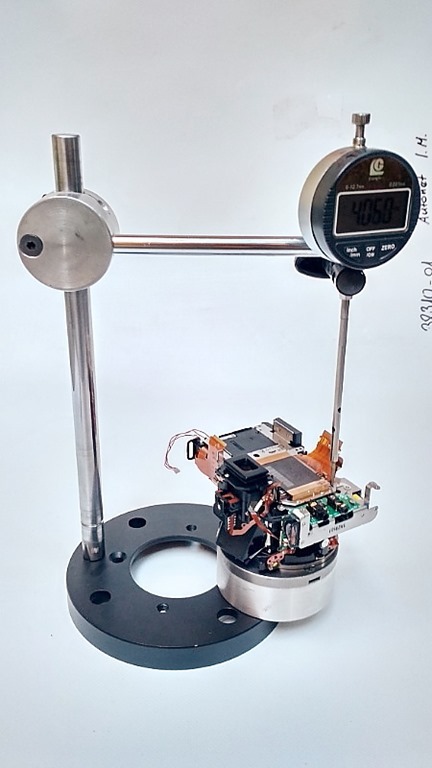 Now put the steel block on the base surface, and set zero on the dial gauge (the base surface is made of a hard steel plate, in my case on the internal part of a Delphi diesel pump)). This is the most important part – it has to be a perfect plane. And this is after pressing the ZERO button. Now You can take off the steel block. (Next time You can set the same zero point using the same steel block again. 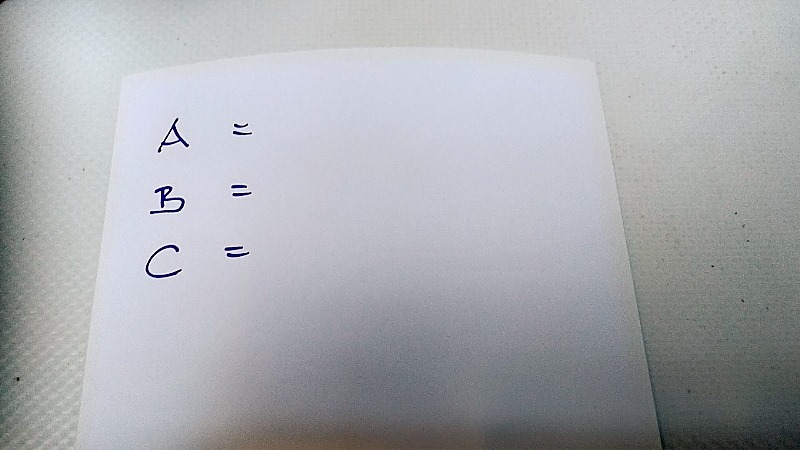 On the CMOS you have to mark the 3 measuring points with a cross, and letters: A, B, C.
Now you position the measuring tip on the cross and measure the height. 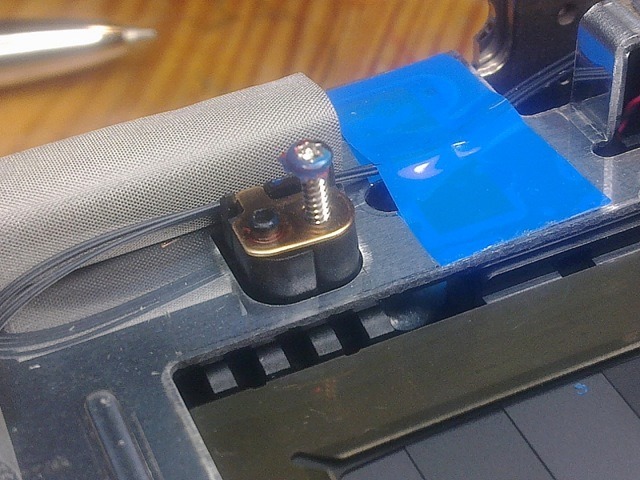 Remember, the adjustment screws have TORX head, to help You to rotate them without axial force. 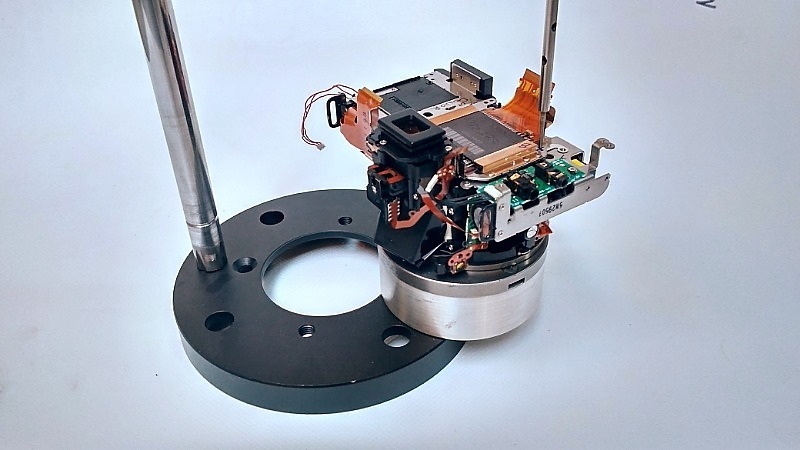 Cementing a Doublet: Opto-Alignment Technology, Inc. 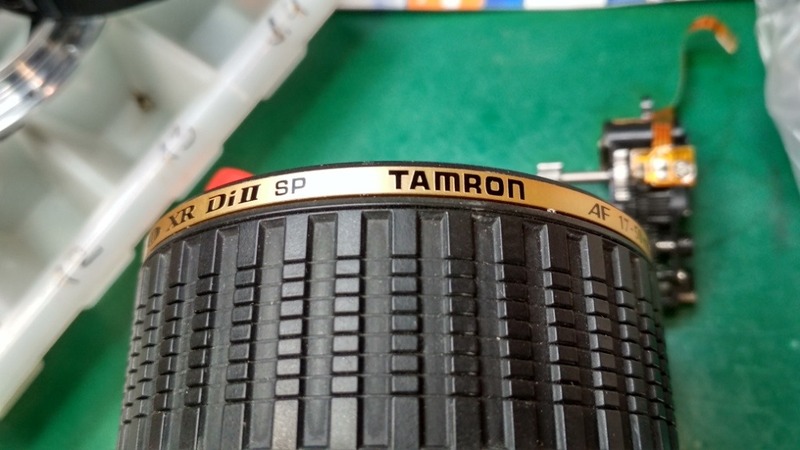 The customer has got a used Tamron 17-50 F2,8 lens, and realized that using with a Canon strobe, there is no change on the strobes display, it shows always 17mm focal length. I was sure that there has to be something with the zoom position brush, so I disassembled the lens. When moving the zoom ring, I could feel that the zoom tube does not follow too tight the ring. This happens, when the follower, a casted metal parts sits not strong enough on the ring, loosen screws. But what I have found in the inside, was more over my expectation…. 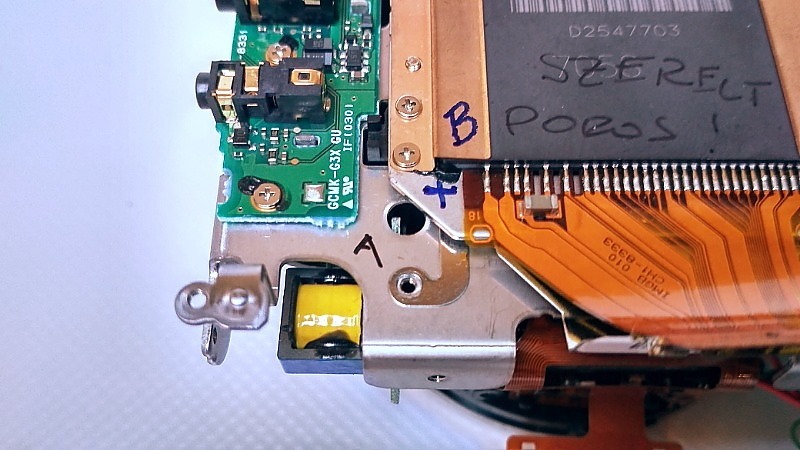 In the inside of the lens there was no zoom-brush – and no flex cable at all. 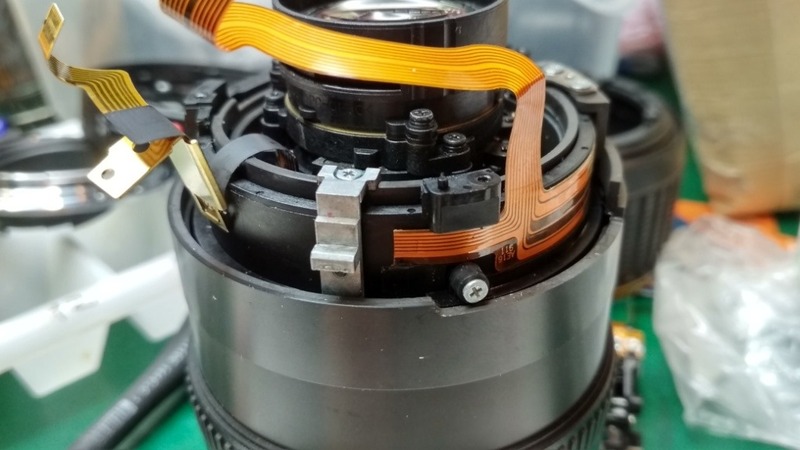 And as flex cables usually dont sublimate… The seller has forgotten to tell, that the lens is a repaired one, better to say, assembled without repair. … or not the shutter?!? Normally in an official service you ill get an offer for a shutter exchange. But after 33000 shutter activations?! Ok, this looks a little bit better, as I had in the past a similar problem with some 7d bodies. 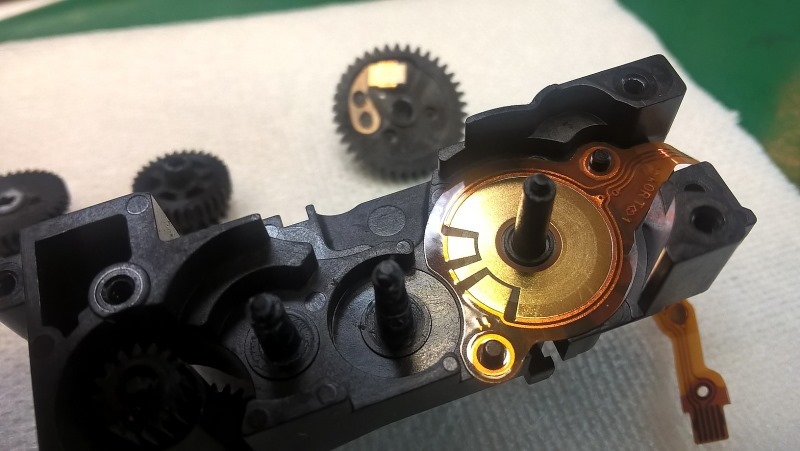 After disassembly, I checked the mirror motor, if it is loose or not, as that can cause a blocking of the motor during activating the mirror. But it was not the case. 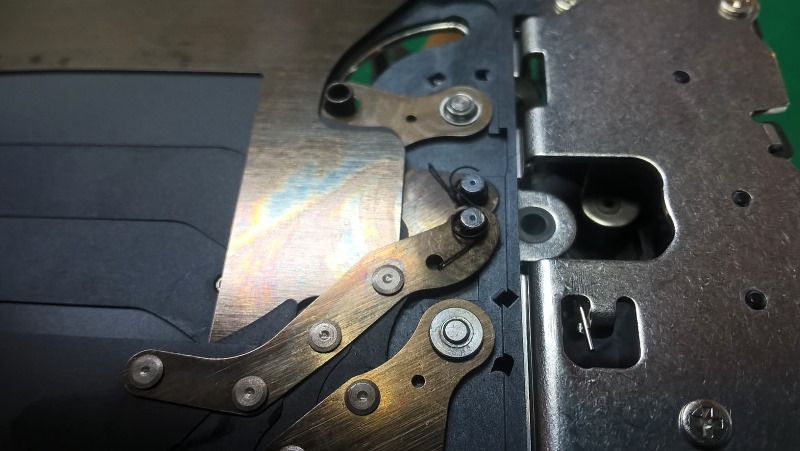 Before replacing the shutter unit (150 USD), I decided to check it disassembled. The 5d MkII has a complicated shutter, more reliable than the small cameras. ATTENTION: this cameras have a CMOS (sensor) with screw adjusted position. 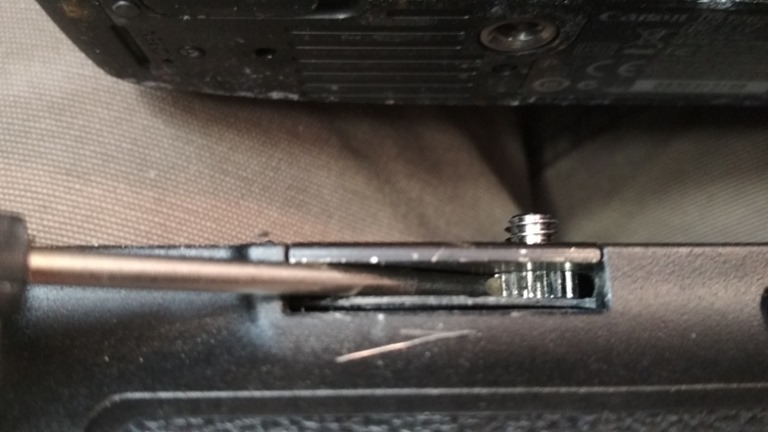 Seems to be with shims – but be careful: under the shim you have a rubber-bumper, which modifies it’s hight as you tighten the screw…. 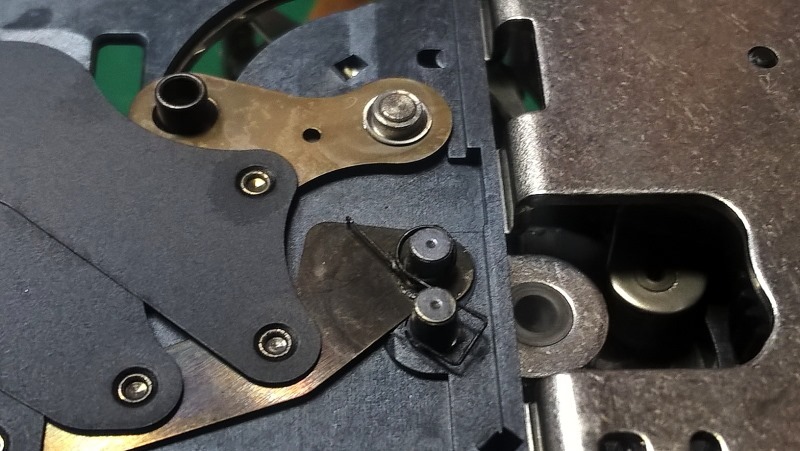 Disassemble ONLY after measuring the original position of the CMOS regarding to the body flange, or you will not be able to mount the CMOS in it’s original position anymore (better o say, only very difficult, as you don’t have the equipment of an official service. In this case the curtain springs are cocked by the motor, and hold by two small mechanical triggers. 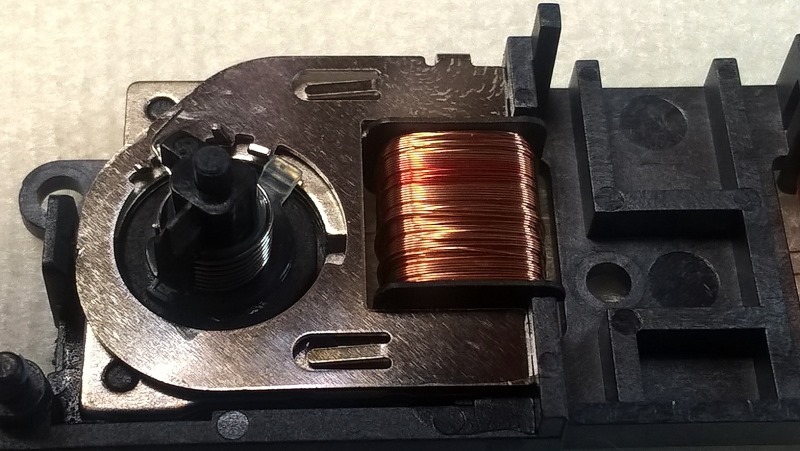 In case of exposure, this triggers will be released by two small oscillating motors – I mean, some motor-like mechanisms, which can execute only a 45 degree rotation with a single coil.The motor has a mechanical position sensor (phase sensor with brush), the curtains have opto-couplers. 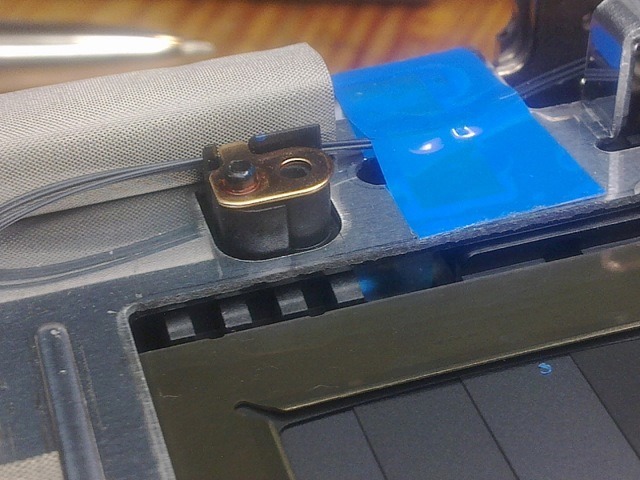 A few soldered parts on the flex cable – so even the soldering could be a problem (cracked cold soldering points). 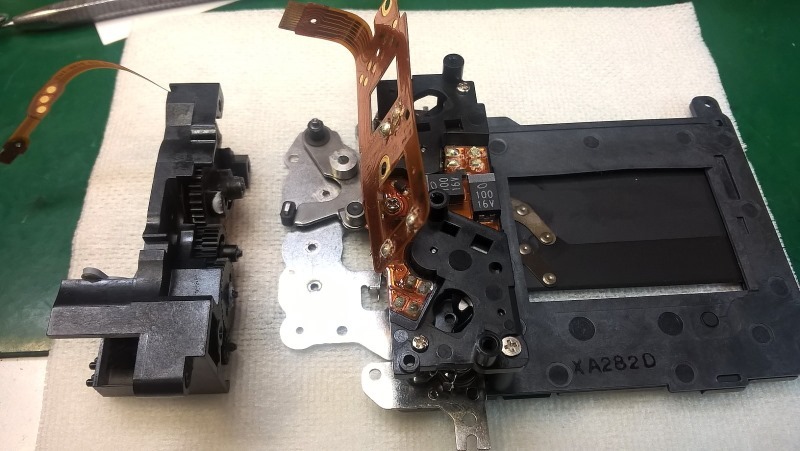 It is very easy to dismantle, but You will have to desolder at first the two coils from the flex cable. The phase sensor was clean, no oxide spots, no short between the lanes (check always with 20 kohm or 200 kohm setting on the multimeter!) . We are talking about a short to ground for a signal. Be careful by assembling – always make some photos about the order of the blades and springs and washers…. 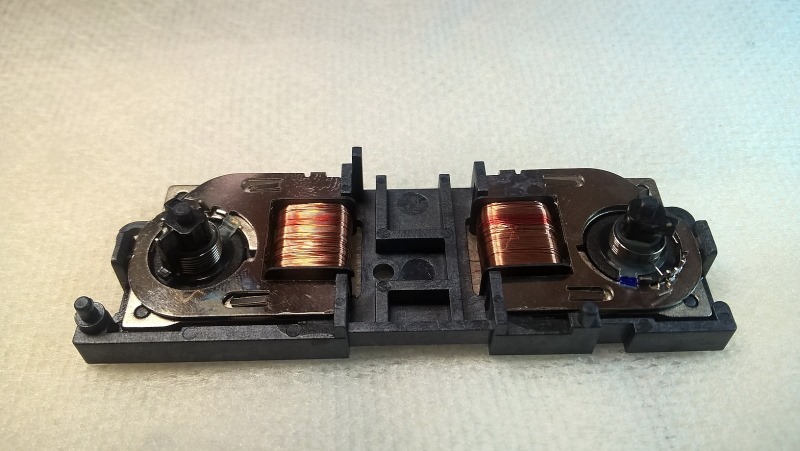 As I could not see any spectacular fault, really nothing unusual, I decided to resolder all parts, the diodes, the capacitors, the optocouplers – and the coils. 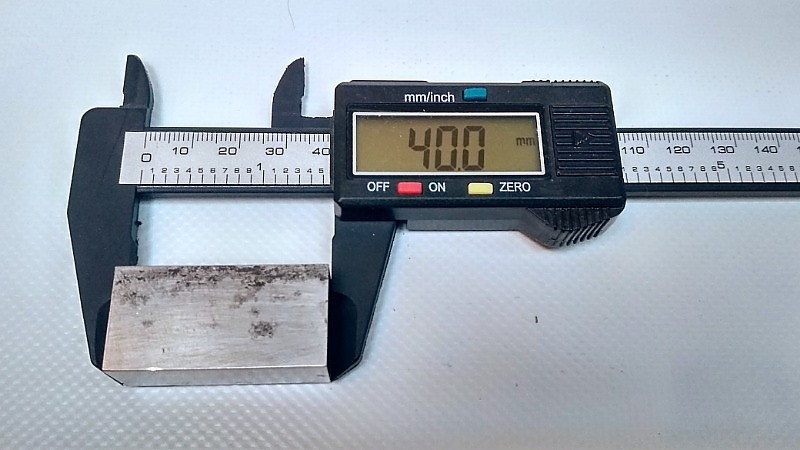 I observed that the original soldering alloy is not a very soldering-friendly material (probably lead-free) – so I used my own normal, Pb-Sn alloy, and a lot of flux. 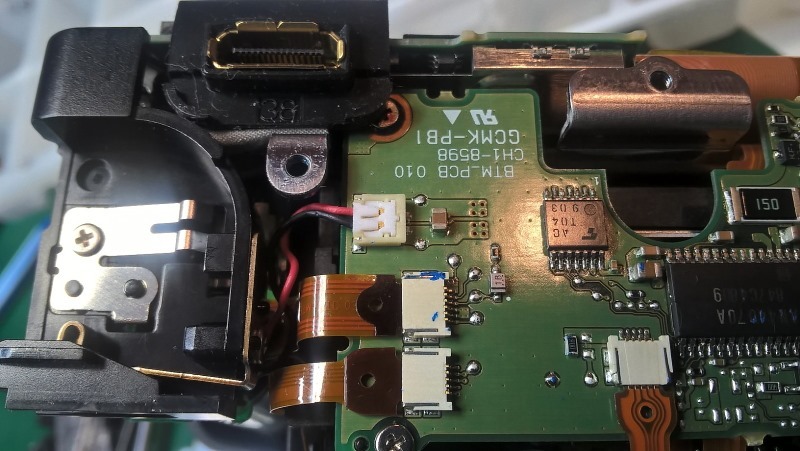 I assembled the camera with some doubt about the final results – so I mounted the CMOS without any adjustment, just to check the shutter (but for this, you have to connect all boards, parts, back of the camera. And NO ERROR anymore. Checked in shot-by-shot,checked in machine gun mode –nothing. Wow. I disassembled the whole camera again, I adjusted the CMOS, mounted all screws with Loctite 243 (threadlock). That was the point when I started to think how to give back the camera to the owner unrepaired, and to change my hobby on fishing or solving crossword puzzles… anything excepting repairing Canon cameras. Remark: this time there was ERR 20, not ERR30! Today I will have to adjust the AF sensor of the same camera, as the central AF point has a bad factory (!) adjustment: on vertical and horizontal lines gives different focal distance, ca. 1 cm on 1 meter. For the owner this means ca. 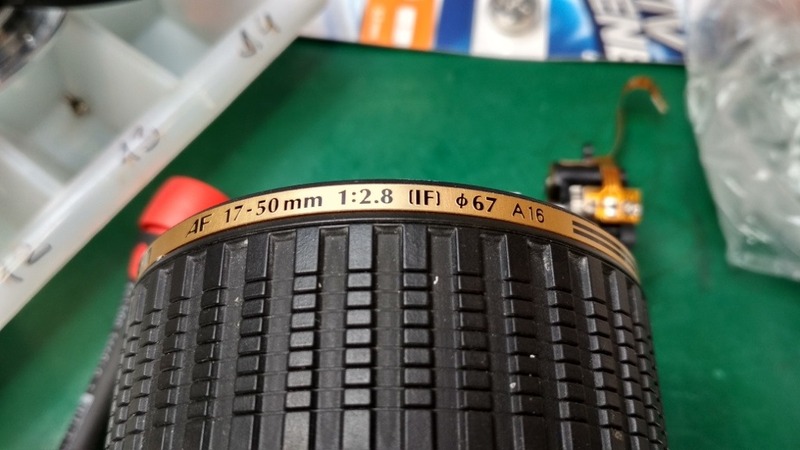 50% of the photos out of focus, as the owner never knows, which sensor will be finally used. I hope, the shutter will be still alive. 10% ammonia solution (I think 40%). Be carefull, dont swallow them, they all are dangerous..
After ca 1-2 days of soaking, you will be able to separate the parts. If not, apply a 10-20 mbar vacuum for a few minutes, then let back the air pressure – will help.